When we launched Vimeo Stock late last year, our goal was to offer a carefully curated alternative to the (sometimes cheesy, let’s be honest) world of stock footage. And we’ve been thrilled at the response from our community as thousands of you have licensed footage over the last few months. We’ve continued to add stunning new collections every week, and in the first six months our library has grown to include over one million clips. Today we’re excited to announce an exclusive collection of 1,000 high-quality clips — Vimeo Essentials — and that every single one of them is available at no cost to all paid members. That’s a total of over $60,000 worth of Vimeo Stock clips that you can start working with right away. We’re just going to say it again, in case you missed any of that: anyone with a Plus membership or higher now has unlimited access to 1,000 free stock clips. We built Vimeo Essentials with the types of clips that will help bring your video projects to life. Weird glitchy transitions? Check. CGI sci-fi landscapes? Yes. Anonymous crowds of commuters slogging through the streets? Yup. Moody establishing shots of New York City? Sure. Blissful aerials gliding above lush green forests or sprawling across Los Angeles? But of course. 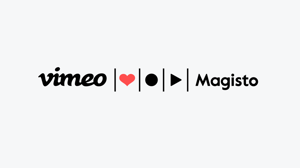 All you have to do is head to Vimeo Stock and start adding the clips you want. Stock up today, and if you’re not already a paid Vimeo member, find the plan that’s right for you. Derick heads up our creator events and programs, which kinda fits like a glove since he's a filmmaker and total gear nerd himself. Other than that, he's all about Travis Louie, escaping the city, and pointing out cute dogs on the street to his daughters. When are you going to fix the well-known Apple TV 2/3 problem? I use Vimeo professionally and this is affecting my work assignments. There should be no need to buy a new AppleTV 4 because you choose to ignore this problem. Please address this. You are infuriating your loyal customer base! How do you remove watermark? So this is great but my main question is where I can get the full music you use in that promo? I just want to listen to it! Are all the supposedly free stock clips spoiled with your watermark? what use is that to anyone? Or did I miss something? Ok - thanks Derick. I was just a little confused because the blurb said - What you see is what you get and I tried the download. I hope you enjoy working with the clips!